The Alternative Fuels Technology program offers exciting careers and unlimited opportunities. Through the use of equipment used in the automotive industry today and ASE master certified instructors, students learn how to diagnose and repair today’s high-tech vehicles. This program will prepare students for entry level employment with companies that require training in areas such as: electrical systems, regenerative braking systems, electric steering and electric suspension systems, high-voltage air conditioning systems, and autonomous system service and repair. The Automotive Technology program offers exciting careers and unlimited opportunities. Through the use of equipment used in the automotive industry today and ASE master certified instructors, students learn how to diagnose and repair today’s high-tech vehicles. This program will prepare students for entry level employment with companies that require training in areas such as: electrical systems, engine performance, transmissions, brakes, steering and suspension systems, air conditioning systems, and engine repair. Students are prepared to take industry standard certification exams from ASE. Students receive hands-on experience on up to date repair and diagnostic equipment that is currently used in the automotive field today. Computer usage and skills along with network communication diagnosis has become critical skills required to quickly and accurately diagnosis newer automobiles, hybrid and alternative fueled vehicles, and heavy diesel trucks. This is a hands-on training program that allows plenty of lab time to develop the skills needed to be successful in whichever emphasis of study the student chooses to go into. Through your choice of electives, you can choose the emphasis of study you would like to pursue. Local employers seek out our students when they need automotive service technicians with Electric/Fuel cell vehicle skills. 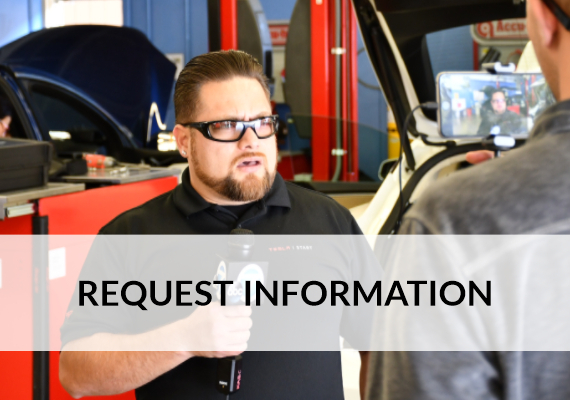 Students who complete the automotive program should have no trouble finding a job as an Alternative Fuels technician, service writer or even a service manager at dealerships, independent repair shops, parts stores or even start their own business! Our graduates are currently working at Proterra Electric Bus, LA Metro Transit , Los Angeles Department of Water and Power Fleet Technicians, and even Space-EX Technicians. 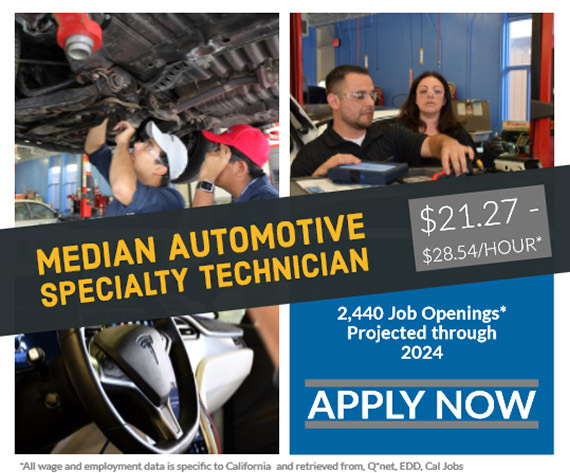 If you would like to continue your education after completing your Rio Hondo College Automotive degree, we have two four-year Baccalaureate degrees in Automotive Technology and Automotive Business and marketing. Other transfer partnerships are in place. Talk to CTE councilor’s for more information about transfer opportunities! 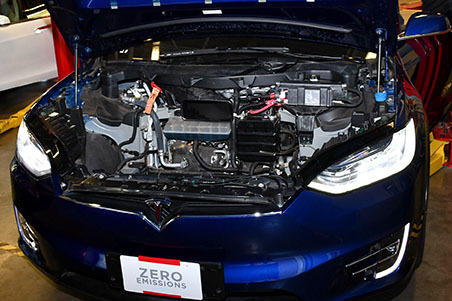 If you have an interest in a hands-on program that will help you diagnose and repair high-tech systems, learn more about the TESLA START program at start@tesla.com or visit the Tesla START Program website. The Electric Vehicle and Fuel Cell Technology Technician Associate of Science Degree is designed to prepare students to meet the emerging field of service and diagnosis of vehicles powered by electricity generated by any of the following sources, plug-in electric/hybrid-powertrain/fuel cell generation. The green technology can be transferred from vehicles to stationary back-up power systems. Students will need to apply for ASE L-3 testing and pay all applicable fees to take the final ASE exam. This Degree is intended to be the capstone of the Hybrid/Electric/Fuel Cell program. All of the courses must be completed with a grade of “C” or better. This Degree is designed to prepare students and incumbent employees as Alternative Fuels & Advanced Transportation Technology specialists. Training is in theory and practical skills. Directed practical work is given in all fuel areas, compressed and biodiesel, under simulated on-the-job conditions. The program will provide the student with the opportunity to acquire the knowledge and hand skills demanded of modern transportation specialists. The sequence in which courses are taken may be modified to meet individual needs. 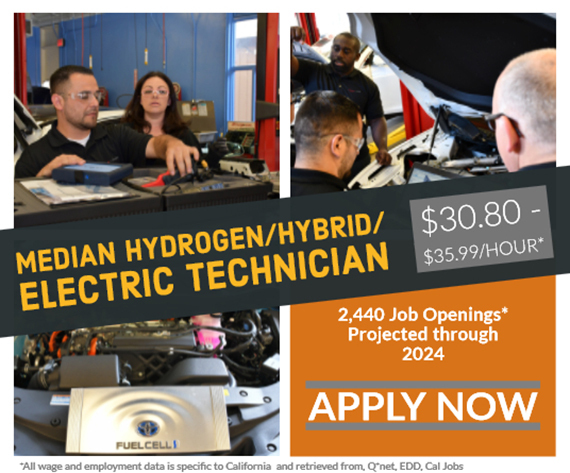 The Electric Vehicle and Fuel Cell Technology Technician Certificate of Achievement is designed to prepare students to meet the emerging field of service and diagnosis of vehicles powered by electricity generated by any of the following sources, plug-in electric/hybrid-powertrain/fuel cell generation. The green technology can be transferred from vehicles to stationary back-up power systems. Students will need to apply for ASE L-3 testing and pay all applicable fees to take the final ASE exam. This certificate is intended to be the capstone of the Hybrid/Electric Vehicle/Fuel Cell Program. This Certificate of Achievement is designed to prepare students and incumbent employees as Alternative Fuels & Advanced Transportation Technology specialists. Training is in theory and practical skills. Directed practical work is given in all fuel areas, compressed and biodiesel, under simulated on-the-job conditions. The program will provide the student the opportunity to acquire the knowledge and hand skills demanded of modern transportation specialists. The sequence in which courses are taken may be modified to meet individual needs.